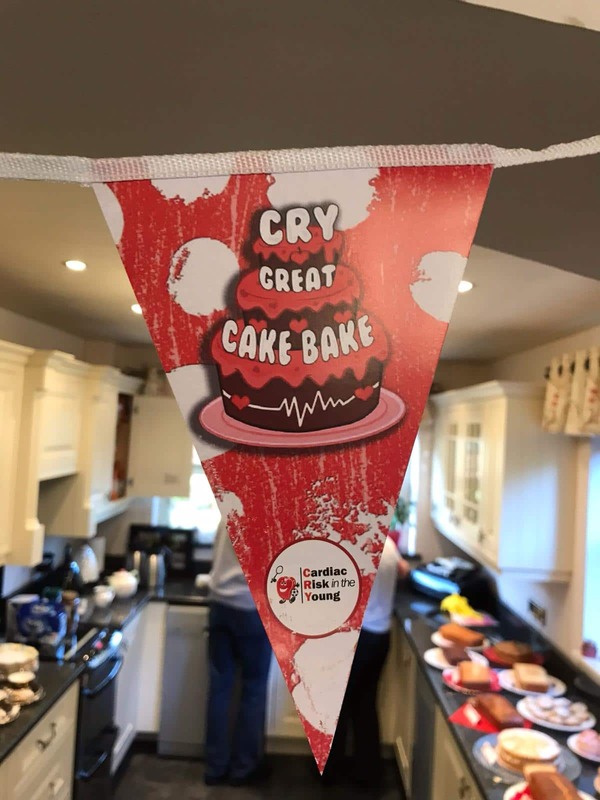 As part of the CRY Great Cake Bake, my daughter Nicky and I held our second Tea and Cake Afternoon for Alan’s Memorial Fund on Saturday November 24th 2018. Having made the decision to hold the event at home, we decided to send out a mini invitation flyer to friends either via messaging or a printed version in early November. It was difficult to estimate how many people we could fit in our house! – but we invited around 65 people and on the day 55 people attended over a 3 hour period which was an amazing turnout! We decorated rooms with CRY posters and balloons and had our own red buckets available for donations. We had many lovely offers of help but this time we decided to do all the baking ourselves and this mega bake took place over several weeks prior to our event. We aimed for a wide variety of more traditional cakes and on the day found the most popular were Gin and tonic loaf, Coffee and walnut cake, Ginger cake and Victoria cream sponge. 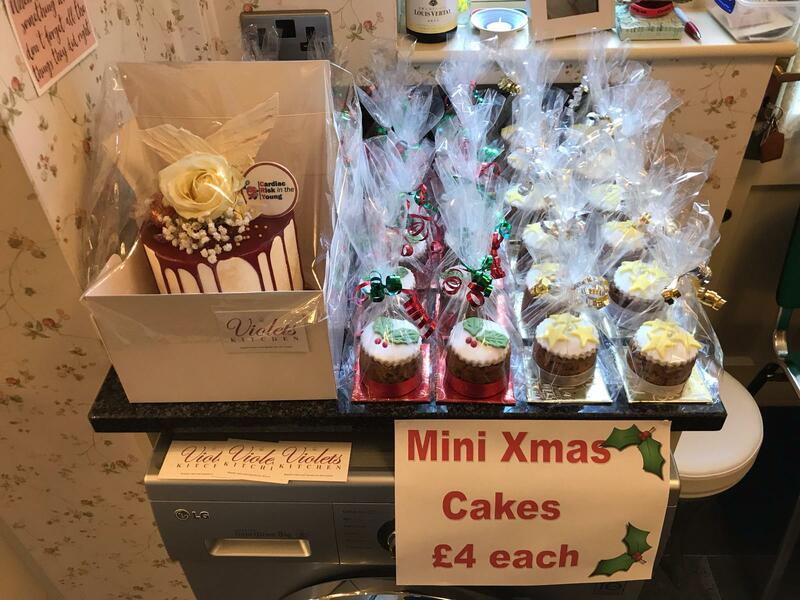 The mini Christmas cakes which we decorated and individually bagged as possible gifts proved very popular and 48 of these were sold at £4 each. Most people stayed to chat with friends over tea/coffee and cake but some also popped in to buy cakes to take away. 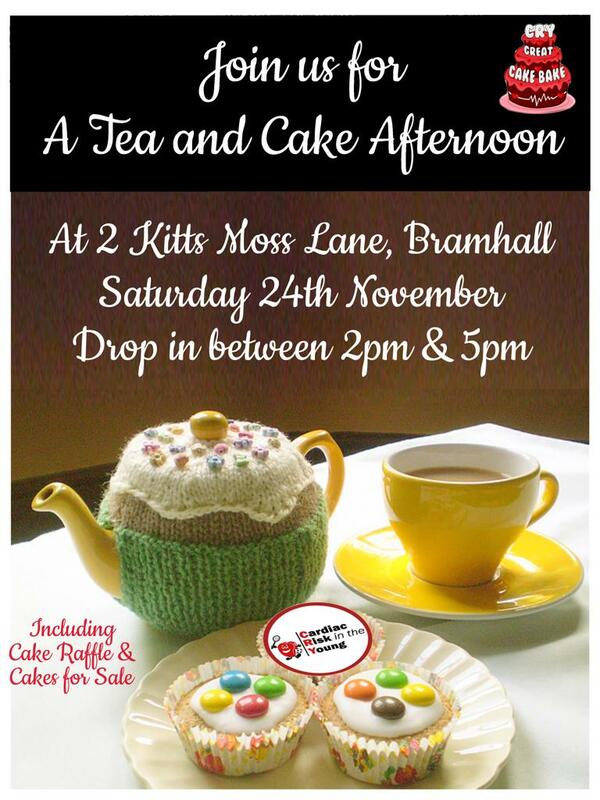 We also had a showstopper cake, kindly donated once again by Kate at Violet’s Kitchen of Stockport. 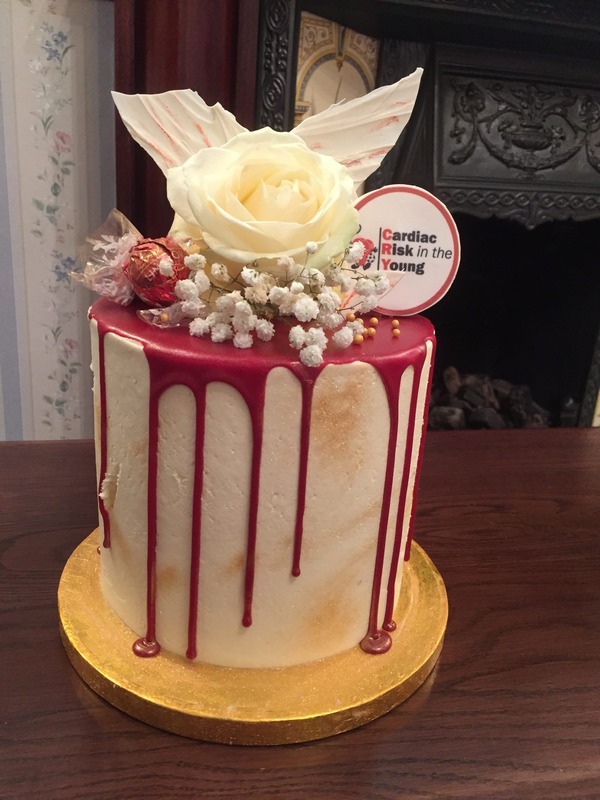 This was themed for CRY in a beautiful design with fresh flowers and angel wings. We charged £1 for a ‘Pick a Square’ game to win this cake. We had CRY Literature available and packs of CRY Christmas cards were also on sale. Our fantastic group of helpers who spent hours making drinks, serving cakes, clearing tables and washing up were invaluable! 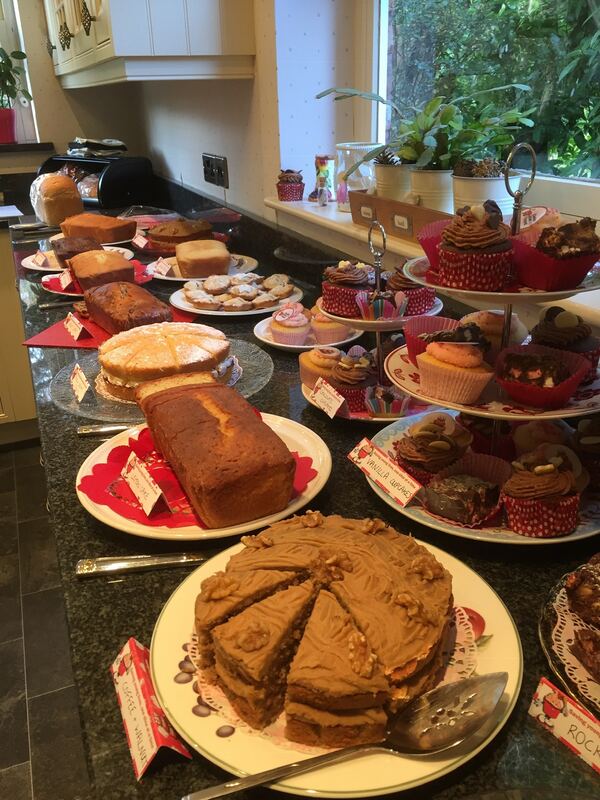 There was a lovely, happy atmosphere and it seems the afternoon was enjoyed by everyone as an opportunity to meet friends, chat and indulge in all things cake for an hour or two! Holding the Cake Bake at home, rather than in a public hall as in 2016, did restrict numbers but gave the event a much more personal feel. We were overwhelmed once again with the generosity of everyone involved and delighted with the £742 raised in Alan’s memory.